Medal hanger with space for photos. 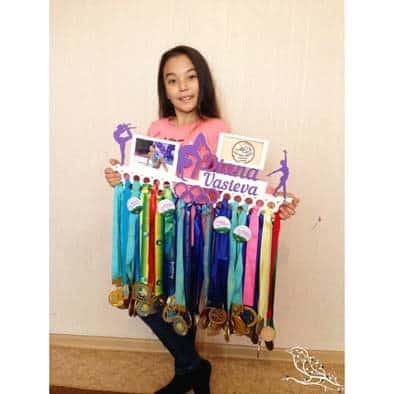 Personalised with gymnast’s name, text and photo holders. 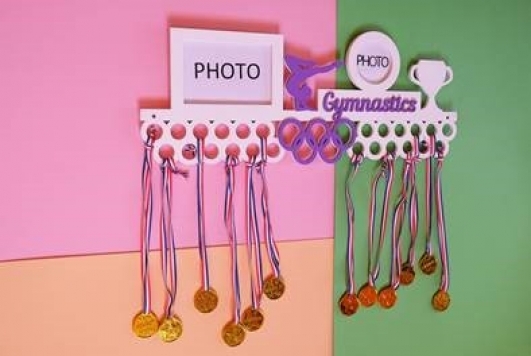 Photo frames (4×6″ square or 3.2″ round) with protective light plastic glass. Delivery to UK takes 10-25 days. Shipping charge + approx £14.